It is recommended that you call the location that you wish to visit in advance to confirm the offer and the offer details. The Keg Steakhouse and Bar does not offer a “birthday club”. Rather they offer an opportunity to sign up for their FREE Keg Guest List, and in the United States only, this includes an annual FREE birthday offer, as long as you are registered prior to your birthday month, and over 18 years of age. The Keg has locations in the US and Canada, but the annual birthday offer applies only to US locations. Many of the locations appear to be open for dinner only so check in advance and make reservations. The offer is not available at all locations and varies from location to location. 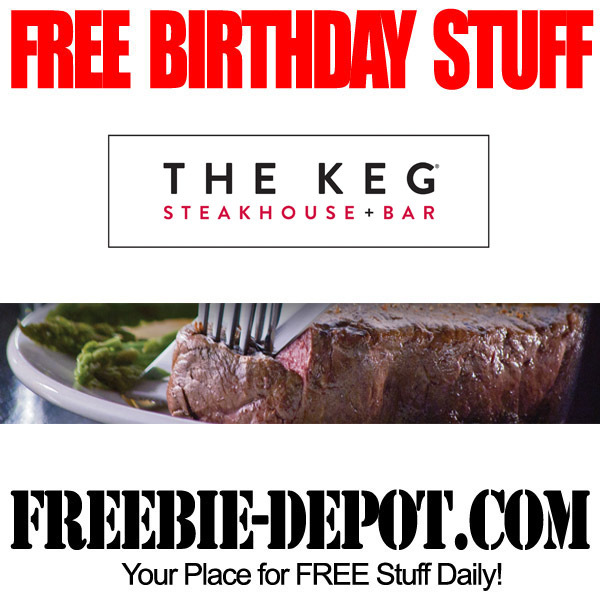 A quick phone call to the Los Colinas location in Texas confirmed that by signing up for The Keg Steakhouse and Bar’s The Keg Guest List in advance of your birthday you will be sent a coupon for a FREE Filet. If you do not sign up in advance they will give you a FREE dessert for your birthday at this location. This may be specific to the location as another location stated that they only offer a FREE Dessert. You will need to contact the restaurant directly.